Diamond Springs is a small town in El Dorado County and part of the metropolitan statistical area that includes Arden-Arcade, Roseville and Sacramento. 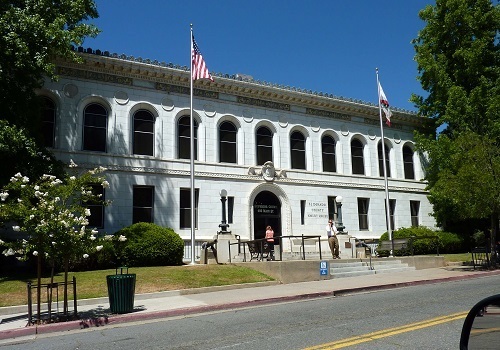 It is listed as a California Historical Landmark. Drawn by the rural beauty and charm of the area, many people are relocating to Diamond Springs. The population in 2010 was 11,037, which is up 125.8 percent from that in 2000 when it was 4,888. Unfortunately, as the population increases, accidents are on the rise. I am proud to be representing clients from the area in all types of accidents, working to protect their legal rights and obtain the compensation they deserve. It is my belief that no one should pay financially for damages caused by a negligent party. Among the many towns and cities in Northern California, Diamond Springs has one of the most interesting histories. The name alone piques your curiosity. I am always curious how a town or city was named and why. For Diamond Springs, its name reflects the crystal clear springs scattered throughout the area and the large quartz crystals that were found there that resembled diamonds. The springs were involved in the settlement of the area and were an excellent stopping place for immigrants making the trek west to mine gold. For many years, the area was seen as a rest stop. But around 1850, that changed. A group of 200 soon-to-be settlers decided to stay in what would become Diamond Springs. Besides providing good pasture for livestock, the new settlers found that the area was also rich in gold, and at one point in its mining history, a 25-pound gold nugget was uncovered. By 1856, Diamond Springs had a population of 8,000 and several restaurants, 14 hotels and sported four newspapers. It almost won an election to be the county seat. On August 5, 1856, the town was nearly destroyed by fire with a total financial loss of about $1.5 million, as assessed at the time. The only two buildings that were left standing were Wells Fargo & Co. and Scott’s brick house, both on Main Street. Another fire in 1859 hit the middle of the town. However, it was not as bad, and the cost was estimated then at $60,000. In the 1900s, Diamond Springs was also well-known for quarrying limestone. The plant closed in the 1970s. In 2016, El Dorado County registered 954 accidents, involving both injuries and deaths. Of these, 169 involved the use of alcohol. The accidents where alcohol usage occurred revealed that 10 drivers, who were impaired, were under the age of 21. There were 107 accidents in Diamond Springs involving a motorcycle and 25 that involved a bicycle. Also, 25 pedestrians were injured or died in a collision with a motor vehicle. The ages of pedestrians injured or killed in a motor vehicle/walker accident ranged from under 15 years old to 64. Only one was 65. About 205 of the 954 motor vehicle accidents involved speeding. I was born and grew up in New York City, the borough of Brooklyn to be precise. People in New York City, and particularly Brooklyn, are forthright about what they think and rarely sugar coat anything. I’ve taken that with me and pride myself on being forthcoming with my clients. It is essential to know where you stand and make decisions based on that, particularly if you’ve been involved in an accident. As the people's attorney, I participate in an interactive bond with clients and maintain an open communication path. I was in the Air Force during the Vietnam War years, serving in a flight unit. After my time there concluded, I moved to California and entered the University of California at Davis and graduated with honors. After graduation, I entered McGeorge Law School, and following that, I opened up my own personal injury law practice. I am proud of the organizations I belong to and would like to share several with you. I am a member of the State Bar of California and the Sacramento County Bar Association. I belong to the Consumer Attorneys of California. We are an organization that represents all Californians who fight for accountability from negligent parties, from those who have been discriminated against, been hurt by a defective product or who have been trounced by an insurance company that reneged on their promises. I also belong to the Capital City Trial Lawyers Association, which is the voice of trial lawyers in Sacramento and the American Trial Lawyers Association. I’m honored to be included in the National Association of Distinguished Counsel. This organization chooses those attorneys who are in the top one percent of trial lawyers dedicated to legal excellence. I’ve received a perfect rating of 10.0 from Avvo, which is peer-reviewed. This rating is given to those lawyers who display an exceptional commitment to their clients. I’ve spent my professional career helping average citizens understand the law and have written several books. One, the Ultimate California Auto Accident Handbook, helps those who have been injured in a collision understand how car crashes are handled. The other, the California Motorcycle Accident Handbook helps answer your questions when you’ve been in a crash with your bike. Both of my books are free for download to Kindle on Amazon. I believe the information in these books and the articles on my website, AutoAccident.com, should give you a firm grip on what to expect after an accident. My website provides comprehensive information on personal injury law, enabling readers to browse topics they want to learn more about. If you have additional questions, you can call my office anytime. I am also proud to say I had a cable TV program called “Ask the Lawyer” that ran for about 10 years. I’ve found that life is more than the work we do, and despite a heavy schedule, I make time for my family. I was married in 1978, and we became the proud parents of a son, Brant. We are also the proud grandparents of a grandson named Mason. Some of my hobbies include hiking, especially around the Tahoe area, snorkeling and reading great books or listening to music. Beyond that, I enjoy talking to clients and getting to know them. While this may seem like part of the job, it is, and it isn’t. Many clients have become good friends over the years, and that is a great bonus for my staff and me. We welcome them anytime for a cup of coffee and a chat, catching up on their families and other things. Q: Do you have any recommendations to find a Diamond Springs mechanic if my car becomes damaged in a collision? Q: Where are good rental car agencies located in the Diamond Springs area? Be calm: Don’t let your emotions get the better of you. Focus on what you need to do and do it. Don’t leave: Leaving the scene of an accident can have grave consequences. If there are injuries involved, you can be charged with a felony hit and run. Even if no one is hurt, you can still be charged with a misdemeanor. The law in California states that if you are in an accident with another vehicle, you need to stay where you are, and exchange information with the other driver. Check for injuries: Check the occupants of your vehicle and others involved in the crash to see if anyone is injured, if you can do so safely. If there are injuries, call 911, and tell them what happened. Call the police: Call the California Highway Patrol if you are on the highway or in a rural area. In the city, it is best to call the local police to report the accident. It is a good idea to have the numbers for both in your glove compartment or on your smartphone. Take pictures: The saying "a picture is worth a thousand words" is never more valid than when you are in a car accident. Take photos of all cars, including your own, that were involved in the car wreck. Take special note of damage and marks on the road. Some marks such as skid marks can let investigators know if the other vehicle made any attempt to stop before hitting you. The absence of skid marks means he or she did not brake, a possible sign of drunk driving. If the driver braked too hard, the mark will be pronounced and could indicate the driver was speeding. Your attorney can employ experts in reconstructing the accident who will use the length and intensity of the skid mark as well as other factors. You might want to take a picture of landmarks or street signs to get a precise location. Exchange information: Exchanging information such as contact information, registration, and drivers license numbers with the other driver is important. Obtain the other driver’s information as well as the contact info of the other occupants in the vehicle. Talk to witnesses: Simply ask if they saw the accident, and obtain their contact information. Your lawyer will do the rest. Call your insurance company: You are obligated to let the insurer know you had an accident and where it occurred. You can tell them your attorney will be calling them soon on your behalf. Call your lawyer: The sooner he or she can start investigating the crash, the less likely that evidence will be lost. When you or someone you care about has been injured through negligence or an intentional act, an experienced Diamond Springs personal injury attorney may be able to help you get the compensation you require and deserve. From dealing with the insurance company on your behalf, negotiating a settlement or taking the case to civil court, the injury lawyer will work hard to obtain the funds you need to cover all of your medical expenses, lost wages, and other costs. I’m Ed Smith, a Diamond Springs car accident and personal injury lawyer. When you or someone close to you is injured in a car accident, you may suffer serious injuries and experience financial difficulties. Concentrating on your health is most important at a time like this, and an experienced attorney can give you the help you need to recover damages. The attorney can investigate the accident, review police reports and/or medical records as well as work with experts to find out how the accident happened. Call me at (530) 392-9400 locally or (800) 404-5400, if you are out of the area, for free and friendly advice. Some clients are more comfortable contacting me online and choose to use the convenient contact form on my website, AutoAccident.com. I’ve helped numerous residents of Northern California to obtain the compensation they need and deserve for many varieties of car accidents, wrongful deaths, brain trauma and other types of injury. I’ve been inducted into the Million Dollar Advocates. This is an organization composed of trial lawyers who have won a verdict or settlement for a client of over $1 million.